Rent Vinostrology Wine Lounge & Merchant | Corporate Events | Wedding Locations, Event Spaces and Party Venues. Vinostrology is a wine lovers paradise. 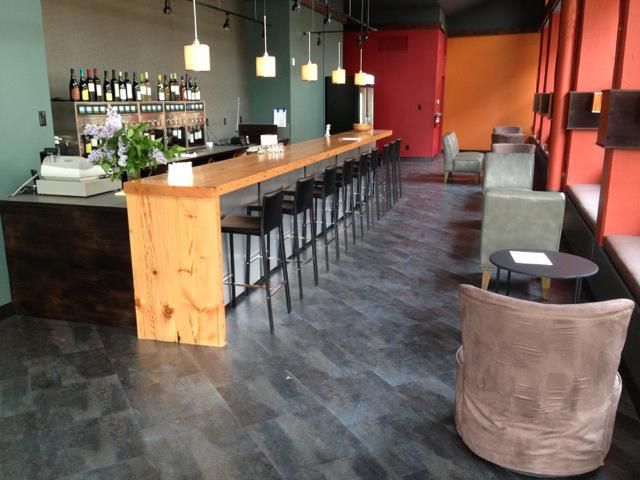 Located in Bellingham and the only authentic wine bar in the Bellingham area.Vinostrology is the ideal venue for smaller, more intimate events.The space at Vinostrology is very inviting with great interior design, unlike any place in town. Vinostrology is original and unique in that we never have less than 20 wines in the WineStations for you and your guests to try by the taste, 1/2 glass, full glass, or bottle. Or, we can customize any and all of your wine needs to ensure that your party or celebration is exactly what you want. Vinostrology also has a kitchen which allows us prepare any of our menu items for your event. Our artisan cheese & meat platters pair perfectly with wine! During the warm weather months, we also have outside seating available.